Sony has announced plans to remaster a series of PlayStation Portable titles, so that they be taken to a higher realm: PlayStation 3. With plans to distribute the titles on Blu-Ray format in Japan only for now, the games will have re-shaped, softer, high-definition graphics, along with Sixaxis support, new content, and stereoscopic 3D. Some titles will also support Ad-Hoc mode gameplay. Save files will be transferable from the PSP versions, so we won’t have to play the games all over again, and we’ll be able to play the original game on the PSP while we’re away from our PS3s, so that we may pick up where we left the moment we get home. The first title announced to be remastered is also, being one of Capcom’s most earth-shattering franchises, bound to achieve huge success. Monster Hunter Portable 3rd was the third release of the Monster Hunter series for the PlayStation Portable (hence the name). 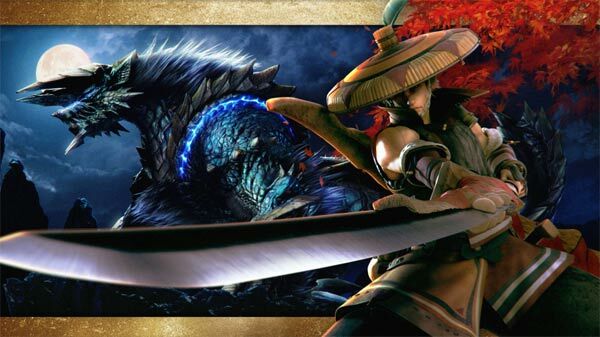 Like its predecessors, the game takes us to a fantastic yet quite a bit realistic world in which we’d incarnate a Monster Hunter, a man or woman determined to make his/her way by facing the most dangerous creatures the world has spawned. Choosing from a wide span of weapons, each requiring a different technique and resulting handy or not against certain kinds of Monsters, the Hunter would enter the wild landscapes the Monsters live in, lay traps, hunt for and cook food, gather and combine healing and supporting items and ammunition, fish and mine, so that, preparations set, the main game would begin. After the targeted Monster is captured or killed, the Hunter can collect the reward of the hunting contract that was taken, and also carve the Monster’s body for a more promising reward: The Monster’s bones, scales, hide, fur and horns provide materials the Hunter can use to craft new weapons and armor, that provide him/her resistance to different types of elemental damage, physical protection, and elemental properties for weapons so that they’ll deal more damage to Monsters weak to those elements. Going up against an Ancient Dragon with a lance that strikes with ice or a hammer that makes thunder is stuff of legend. And now, it’ll be possible to play the game on PS3 with graphics as neat as you can see on the next video. Sony has stated: “The graphics of the PS3 version, including monsters, fields, equipment, as well as Felyne Comrades, are more gorgeous and vibrant than ever, and will deliver dynamic gameplay when played on the large TV screens.” And I couldn’t agree more. What say you, my fellow Hunters? It’s time to arm ourselves with our favorite weapons and go seek adventure! But while we get everything ready, check out some other great PSP titles, like What Did I Do To Deserve This, My Lord!? 2, or other monster-related games like How to Train Your Dragon. Metal Gear: Peace Walker for PS3, please.